From Russia's tampering with the US election to the WannaCry hack that temporarily crippled the NHS, cyber has become the weapon of choice for democracies, dictators, and terrorists. Cheap to acquire, easily deniable, and used for a variety of malicious purposes - from crippling infrastructure to sowing discord and doubt - cyberweapons are re-writing the rules of warfare. In less than a decade, they have displaced terrorism and nuclear missiles as the biggest immediate threat to international security and to democracy. Here, New York Times correspondent David E. Sanger takes us from the White House Situation Room to the dens of Chinese government hackers and the boardrooms of Silicon Valley, piecing together a remarkable picture of a world now coming face-to-face with the most sophisticated - and arguably most dangerous - weapon ever invented. 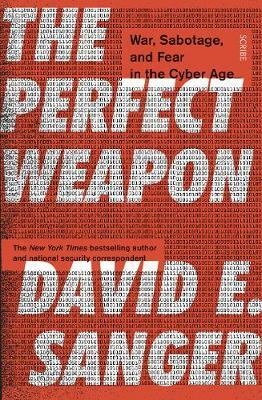 The Perfect Weapon is the dramatic story of a new era of constant sabotage, misinformation, and fear, in which everyone is a target.